PilotLog is a free companion program to the PilotLog online log book; the premier log book for professional pilots. 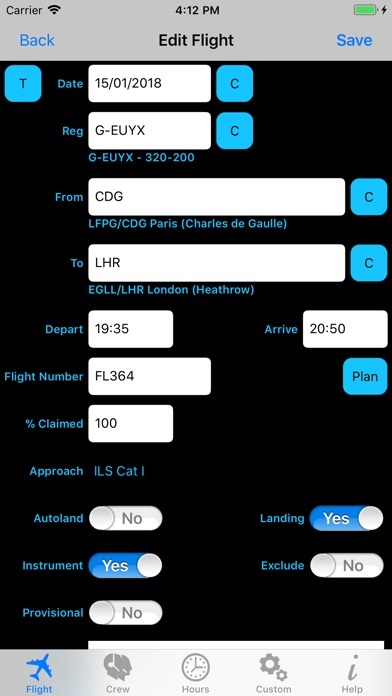 Please note that this is not a stand-alone log book app; it requires synchronisation with an online PilotLog account to function correctly. PilotLog is a subscription service. If you do not already have an account, a subscription can be created using In-App Purchase. There is a three month free trial period, followed by an auto-renewing monthly or annual subscription which will continue until cancelled. 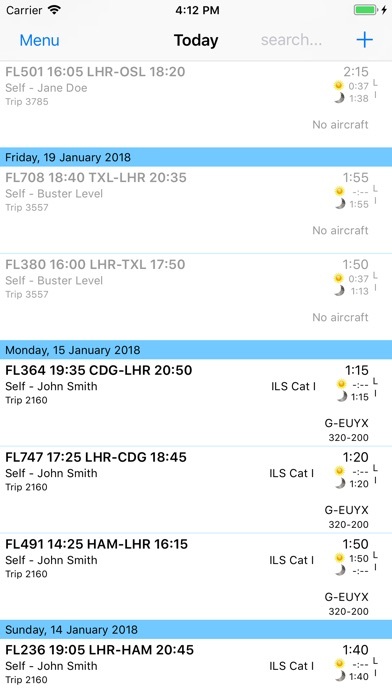 Full terms and conditions for the use of PilotLog are published on our website at https://www.pilotlog.co.uk/tnc.php. 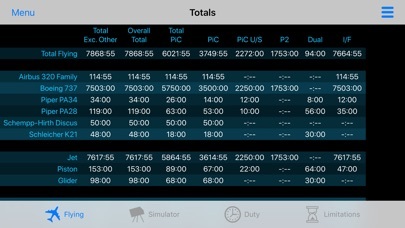 • Edit flights imported from your roster • Add flights on the flight deck • Search your log on your iPhone/iPad • Comprehensive hours totals • Import roster using your mobile device • Add and edit simulator details • Add and edit duty records • Automatic duty logging and limitations monitoring • Data backed up on our server • Compatible with any computer (PC / Mac / Linux) • EASA and FAA compliant • Print your log from the PilotLog website • Lite account available for private pilots If using the In-App Purchase option to create an account, please note: • We offer Pro and Lite accounts. Pro is suitable for commercial pilots, and Lite is suitable for recreational flying or for student pilots. • You can choose an annual or monthly payment to follow the free trial period. • Payment will be charged to your iTunes Account at the end of the free trial. • Subscription automatically renews unless auto-renew is turned off at least 24-hours before the end of the current period. • Your account will be charged for renewal within 24-hours prior to the end of the current period. 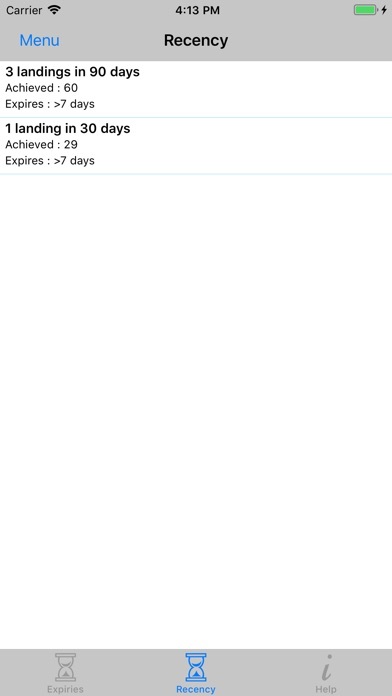 • Subscriptions may be managed and auto-renewal may be turned off by going to your Account Settings after purchase. 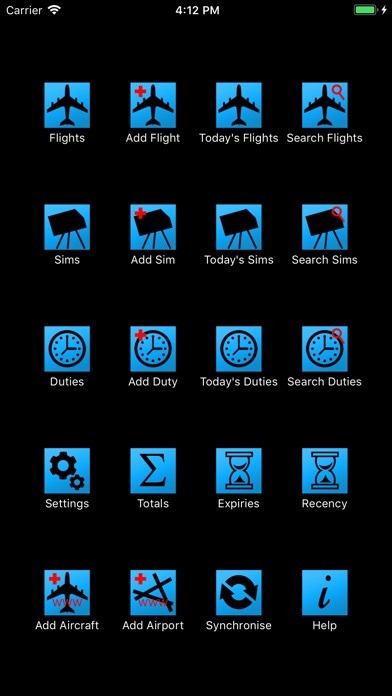 You can also manage your subscription within the app, under Help->Account Management.